Akua'ma (sing. 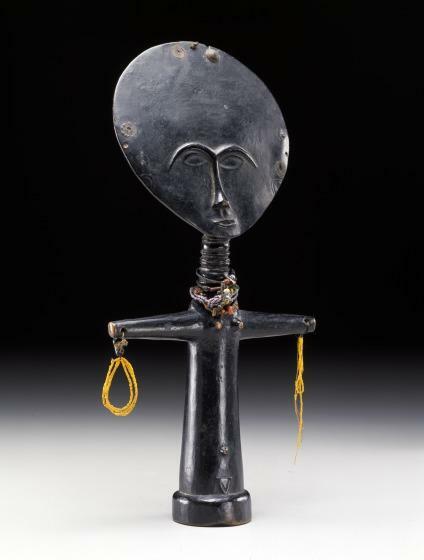 akua'ba) are highly stylized sculptures that depict the perfect Asante baby, which has a flattened forehead like those of royal infants, the creased neck of well-nourished babies, and lustrous black skin. 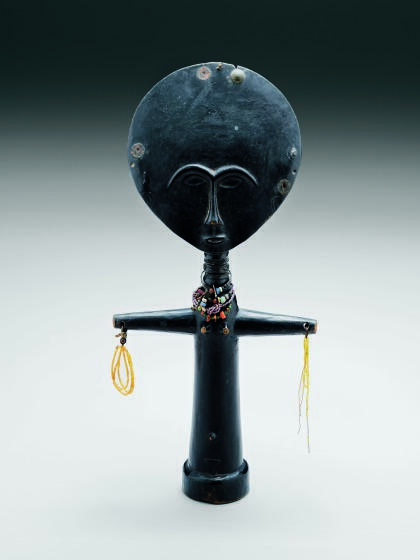 A barren woman secured an akua'ba to her back in the hope that she would conceive. After delivering her baby, the mother gave the surrogate infant to her daughter to play with or she returned it to a priest to enshrine. The sculpture got its name from Akua, a woman who, according to Asante oral tradition, was barren but desperately wanted children. 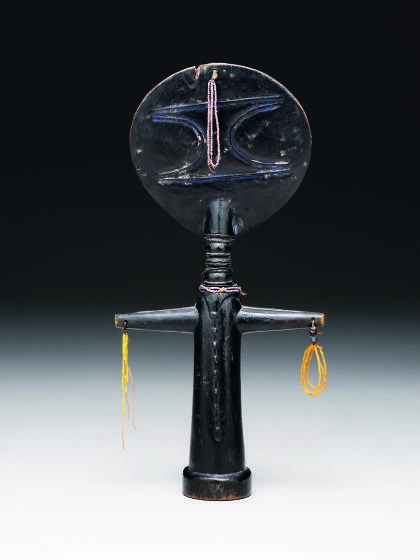 A priest advised her to commission a sculpture to represent an infant (an akua'ba, "Akua's child") and care for it as if it were alive. Her success in this effort encourage other barren women to emulate her. 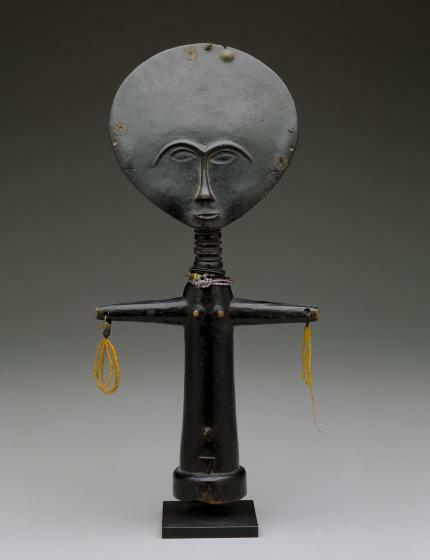 Akua'ma rarely depict male infants because inheritance in the matrilineal Asante society passes from mother to daughter.